With all the recent shootings and abductions, it can be very important for a parent to know where their child is at all times. Unfortunately, not all parents can trust their child enough to take their word for it when they say they are staying at one location for any duration of time. In such cases, utilizing a GPS tracker for kids is the best option. There are several reasons as to why having a personal tracking device for each kid is a good idea. The first is that parents will have several methods available to keep track of their children. Depending on the tracking device selected, parents can schedule alerts to be sent to them every time their child moves from one location to a new location that is more than a specified distance away from the previous one. Parents will also be able to receive live tracking updates as opposed to only getting periodic alerts. If a parent doesn’t want to track their child at all, they can simply disable tracking. This is important in case of a security breach where a stranger may have figured out the pass code to get into the GP search tracking software. Personal tracking devices also have the advantage of being well-concealed. Parents can track their child without the kid knowing they are being tracked! This would be beneficial for children that have a habit of saying they are friend A’s house, when they are really staying the night with friend B or even going to a party. GPS trackers for kids can be enabled through cellular devices, installed into shoes, or be hidden inside inconspicuous items such as a bracelet or necklace. 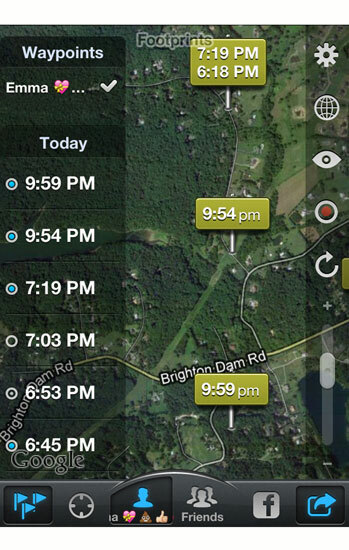 Having a personal tracking device such as this comes in handy in the event that a child is ever kidnapped. The kidnapper would never be able to tell that the kid they abducted is wearing a tracking device; modern technology allows for trackers to come in the form of a small chip and not a bulky nuisance. The most important advantage of using GPS technology is that parents will feel that their children are safe and sound, and they will not need to worry so much the next time their city issues an AMBER alert for their neighborhood or even if they happen to lose their child in the large crowd or a State Fair. This peace of mind is very valuable. Whether a parent is serious about knowing their child’s location at all times or they want it for a “just in case” scenario, GPS tracking for kids is a great feature that all men and women with children will enjoy.